Our mission is to become the largest organic fruit and vegetable farm in the world, feeding the hunger for healthy, organic, non-GMO produce. From the beginning, Simply Natural Farms has made a super conscious decision to farm organic with the intension to minimize the human impact on the environment. 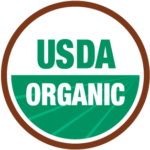 Simply Natural Farms is proud to be certified 100% organic by the USDA and Global G.A.P. Some might say we´re to cool for school, but at all Simply Natural Farm developments, we produce our own bio-fertilizers and bio soil amendments to grow our certified organic fruits and vegetables. We mitigate the use of toxic fertilizers and pesticides through the use of permaculture practices on a significant scale. This is done using processes that don´t affect the natural ecosystem surrounding our farms and using nature to work with us. Our operations across the world have earned the highest responsible farming certifications! To receive an organic label, farmers are not allowed to grow their crops using pesticides and artificial fertilizers. Health experts have been warning us about the potential danger of those substances used in conventional farming. Common pesticides have been linked to cancer, developmental delays in infants, increase prevalence of ADHD and reduction of sperm quality. The British Journal of Nutrition also found that organic crops are 48% less likely to carry cadmium, a heavy metal that “exerts toxic effects on the kidney, the skeletal and the respiratory systems” (WHO-World Health Organization). Note that even though there are some restrictions on the use of chemicals, non-organic farmers can choose from a range of 320 pesticides and they use them frequently. However, when you buy organic, there´s no artificial colors and preservatives in your food. Since the world population never stops growing, researchers have been looking for a way to feed the billions of appetites across the globe. 500 food production scenarios have been reviewed to see the feasibility of feeding 9.6 billion persons by 2050 without expanding farm areas. According to the Guardian, researchers have “found that enough food could be produced with lower-yielding organic farming, if people become vegetarians or eat a more plant-based diet with lower meat consumption. The existing farmland can feed that many people if they are all vegan, a 94% success rate if they are vegetarian, 39% with a completely organic diet, and 15% with the Western-style diet based on meat”. It is proof that organic farming is part of the solution.